This folk-rock group was formed by Australian Trevor Lucas when his previous group Eclection split. His then girlfriend, Sandy Denny, left Fairport Convention to set up the new band with him. However, despite Sandy being at the peak of her popularity - she was voted Britain's No 1 girl singer in a Melody Maker poll in 1970 - the band was relatively short-lived, lasting from March 1970 - January 1971, because it didn't enjoy the commercial success one might have expected. Sandy then embarked on a solo career before rejoining Fairport Convention in 1974. Donahue, Conway and Donaldson (who'd previously been with Zoot Money) became part of Mick Greenwood's backing group and Trevor Lucas became a producer for Island Records. 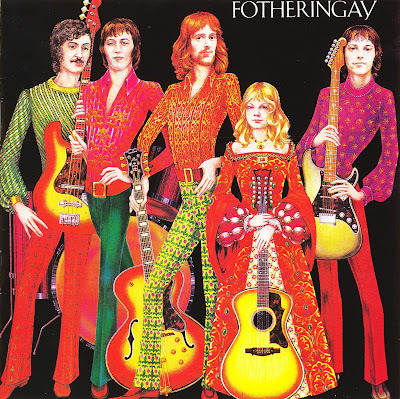 The Fotheringay album is by now considered to capture Denny's vocals at their best. Trevor Lucas (her husband) also sings on a lot of the tracks and provides a distinct contrast to her vocals. Sandy is probably at her very best on the exquisite traditional song Banks Of The Nile.